The prizes are listed below, on the rafflecopter form. This giveaway will be open until October 15th and the prize values are over $400! 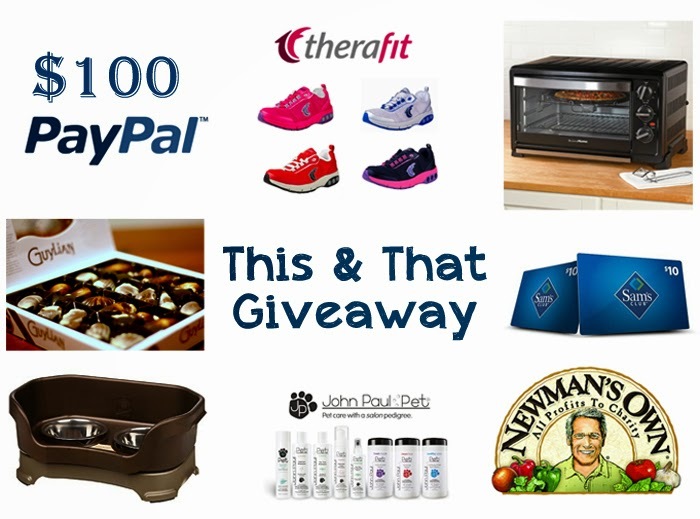 This & That Giveaway is open to anyone 18 or older and the US only! I am not responsible for the shipping of prizes and shipping may take up to 6 weeks to receive from sponsor. Disclosure: I was not reimbursed in anyway for this giveaway. This post is not a review or endorsement of the products included in the giveaway, as I have not personally tried all of them.